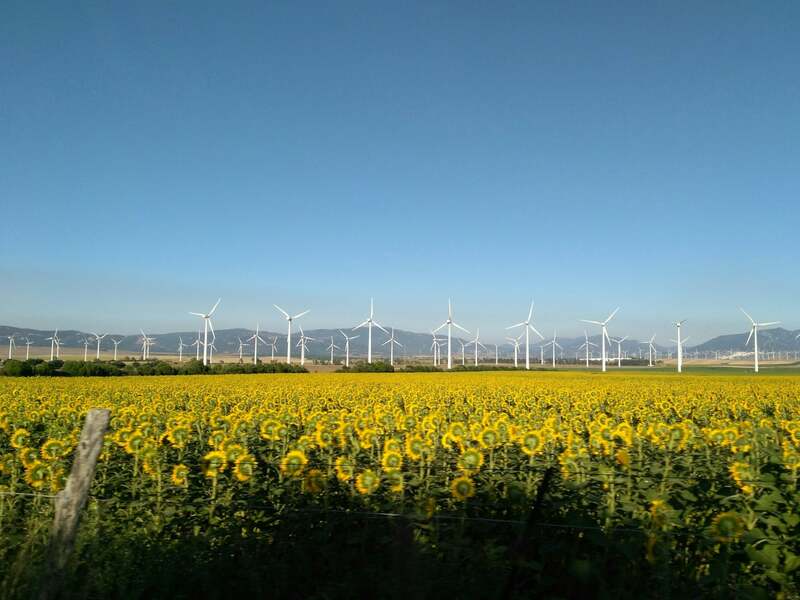 Moixa > Blog > Countdown until the end of the Feed-in Tariff: What’s Next? Countdown until the end of the Feed-in Tariff: What’s Next? The Feed-in tariff (FIT) scheme is considered to be the most successful climate change policy introduced by the British government. It fuelled the uptake of renewable energy technologies across the UK and ensured the country met its targets for deployment of solar PV power and onshore wind energy five years early. What are the Feed-in Tariffs (FIT)? Introduced in 2010, the feed-in tariff was a UK government programme designed to promote and accelerate the adoption of renewable and low-carbon electricity generation technologies. It offered a financial incentive for property owners across the UK who installed renewable energy technology in their homes and businesses. Under the scheme, property owners who had installed an eligible system like solar PV or a wind turbine received payments on both their generation and export of the green energy they produced. If your application to participate in the scheme was successful, you were assigned a tariff and received a fixed payment for every unit of electricity you generated based on a number of factors, such as the size of your system, the technology you installed, when your system was installed and how energy efficient your property was. There are three ways households could benefit from FIT’s. Generation tariff: once an application was approved, the energy supplier would start paying a household a set amount for each unit (kilowatt hour) of electricity they generated (that’s where the name “generation tariff” comes from). The tariff levels are guaranteed for a 20 year period. Export tariff: in addition to generation tariff payments, households could also sell the surplus energy they produced back to the grid. They were paid for 50% of however much they generated, known as the deemed export tariff. This is the case unless they have an export meter, then they will be paid on a metered export tariff. Savings on energy bills: naturally, households save on their annual energy bills because they won’t be buying as much electricity from the grid. How much they can save will depend on whether a solar battery system is installed, the amount of electricity they use and how energy-efficient their property is. What’s next for the solar energy sector in the UK? In future, we think that battery storage systems will take centre stage in new solar energy projects. The lack of financial incentive will shift people’s attention to consuming as much of the green energy they produce as possible and battery storage solutions like a Moixa Smart Battery will make this possible for everyone. Instead of selling the homegrown energy back to the grid and later buying it at a higher price, people will be able to store it inside the battery and use it on demand. This also means that households with battery storage solutions will be protected from electricity price hikes predicted to be just around the corner and will likely make substantial savings on their annual energy bills. We believe that combining green energy generation with battery storage solutions will make a strong economical case for green energy projects. On January 8th 2019, the government answered the “what’s next” question initially posed in this blog post, by launching the proposed Smart Export Guarantee. 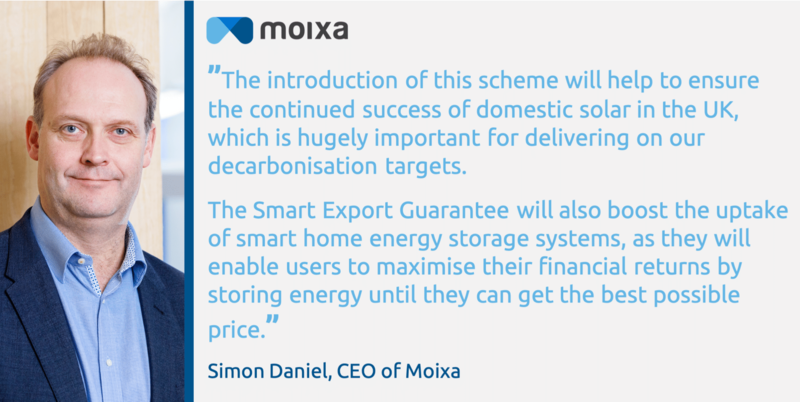 The Smart Export Guarantee will ensure that homeowners generating their own renewable energy will be paid for any energy they export to the grid although there is currently no indication of when this will begin or what the payments will include. For more information on the Smart Export Guarantee then take a look at our blog post.